Arista Power, Inc., formerly WindTamer Corporation, was originally founded in 2002 as an independent developer of a patented ducted wind turbine technology. Arista Power continues to provide industry-leading, efficient wind turbine technology along with solar power and off-grid solutions. In 2009 and 2010, a group of senior executives and engineers joined Arista Power and combined their power management expertise with patented wind turbine technology to develop a suite of products that combine renewable energy with award-winning customisable power storage and management solutions offering the best return on investment. At Arista Power, our goal is to create solutions that fit the energy needs of commercial, residential, agricultural, educational, portable and government/military profiles, offering support to individuals as well as to groups of thousands with a mobile off-grid power station. Arista Power has the ability to design a bespoke solution for you. Arista Power help their customers to understand their energy profile, made up from their energy bill, amount of energy used and the renewable energy available to them. From this, they can give a complete and customised energy solution that offers the best combination of wind, solar PV and Power on Demand with the best possible return on investment. Arista Power will include, and assist in obtaining, all available government incentives for each project. Our Power on Demand batteries are maintained and monitored monthly by Arista Power, by linking to real-time status updates to ensure you are receiving the best possible energy generation and the best return on investment. Arista Power offers off-grid power via micro-grid capability where we combine the energy from multiple sources (including wind, solar PV, generators and fuel cells) in a battery and then release that energy as needed. In September 2012 Arista Power was awarded the Technology Services Award at the second annual GREAT (Greater Rochester Excellence & Achievements in Technology) Awards held by Digital Rochester. The Technology Services Award is awarded to an individual and organisation that has shown sustained commitment and leadership in support of new technology creation that provides enabling services or resources for other organisations to reach their goals and objectives. The Award recognises the innovation and value of our Power on Demand system designed to reduce electricity demand charges, which are based on a customer’s peak power demand on the grid and which can account for between thirty and seventy percent of a commercial electric bill. This is achieved through a variety of solutions customisable to customers’ sites and power needs. The Power on Demand system uses energy generated by solar PV, wind turbines, or the grid itself together with a custom-designed battery storage system and a proprietary real-time ‘smart monitoring’ technology that is designed to smooth power demand on the grid by maintaining grid demand within optimal parameters and releasing stored power only during peak demand periods, thereby reducing peak demand charges prolonging battery life, and lowering commercial electricity costs. In January 2012 Arista Power announced that it had been awarded a contract by the US Army for the development of a new Intelligent Micro-Grid. The award saw the company act as prime contractor to complete Phase One activities. The Intelligent Micro-Grid was designed to seamlessly integrate both renewable and traditional energy sources to provide the scalability and automatic operation needed to deliver highly reliable power in areas where military operations are taking place across a broad spectrum of energy requirements and applications with a goal of minimising the use of fossil fuels and saving lives by reducing the need to transport diesel fuel. Under the contract, Arista Power developed the Intelligent Micro-Grid for the Renewable Energy for Distributed Under-Supplied Command Environments (REDUCE) program under the guidance of the US Army Communications-Electronics Research, Development and Engineering Center (CERDEC). They delivered a demonstration of the system to CERDEC 6 months later. The program also offered a Phase Two option for CERDEC to provide additional funding for continued development upon the successful completion of Phase One. 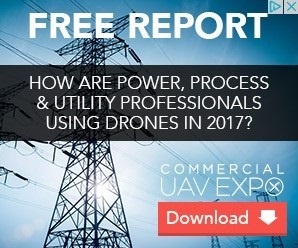 According to the company, the US Department of Defense (DOD) has been mandated to reduce its reliance on fossil fuels, reduce greenhouse gas emissions, improve energy efficiency, implement high performance sustainable Federal building standards, and to produce or procure 25 percent of its total energy from renewable sources by 2025. This contract with Arista Power helped the DOD work towards achieving these goals. Molly is responsible for the oversight and management of all accounting and financial matters of Arista Power. 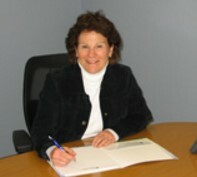 She was appointed to this executive position on March 1, 2010. 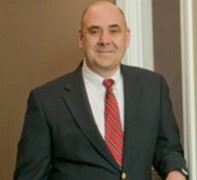 William joined Arista Power when the company went public in November 2009. 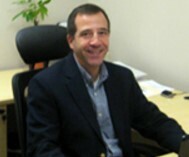 He brings an extensive management and engineering background to Arista.